The Junior League of Monroe presents a collection of classic Southern dishes and unique creations from some of our area’s finest kitchens. 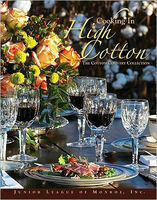 After preparing and serving any of the dishes included in this fabulous collection, you will definitely feel as though you have been Cooking in High Cotton! 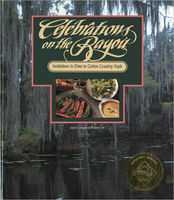 Celebrations on the Bayou captures the rich heritage that makes southern entertaining a legend. It’s really two books in one…an elegant collection of menus with photographs, plus a practical cookbook of treasured recipes that you’ll enjoy reading for hours.